* Learn the current professional practices: industry standards, publishing contract, publishers, self-publishing practices, distribution channels, etc. Taj Forer is a photographic artist, publisher and educator. He received his MFA in Photography from UNC-Chapel Hill (where he has served a Lecturer in the Department of Art) and his BA from Sarah Lawrence College. Forer is the author of two books of his own photography, Stone by Stone and Threefold Sun. His photographs have been exhibited in museums and galleries around the world and can be found in private and public collections throughout the United States and Europe. Forer is represented by galeria SENDA (Barcelona) and Flanders Gallery (USA). He is a Cofounder and Publisher of Daylight Books, the celebrated international photography publisher. 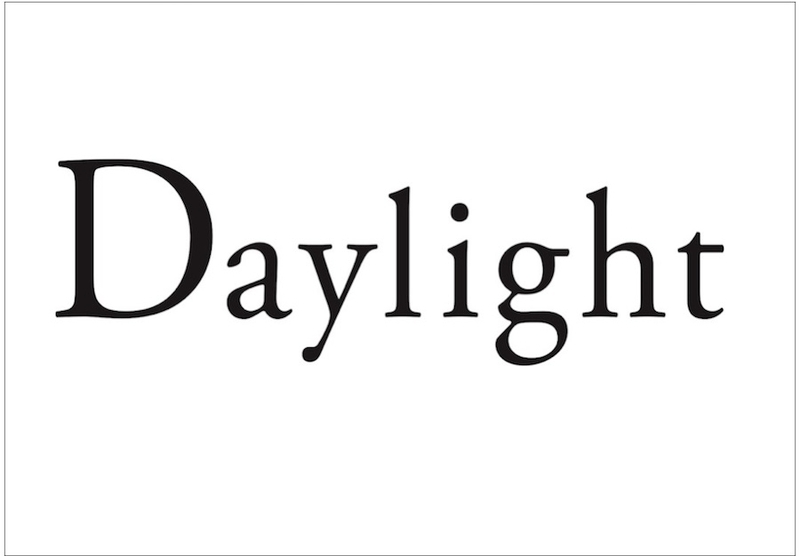 If you want to be kept informed about Daylight Books, you can go on Facebook and add Eyes in Progress or its own page to your list of interests. This portion of the workshop will focus on discussion regarding the publishing industry, standard practices, what to expect when pursuing a publishing contract with a publisher, how art book publishing (and the associated market) differs from the literary market and how best to position and prepare one's body of photographic work for a successful publishing process. This portion of the workshop will consist of an in-depth discussion and hands-on workshop for preparing the participating photographers' projects for presentation to publishers, and for production. Each photographer will leave the workshop with a ready-to-go proposal (or prepared manuscript for self-publication). We will engage in critical discussion, narrative development, editing and sequencing and preliminary design processes to take a body of pictures and transform them into the foundation for a proper photobook publication. This final portion of the workshop will focus on which path forward towards publication makes the most sense, and is most likely to succeed, for each participant. We will explore the different publishing houses, self-publishing methods / channels, global distribution partners, and more, to align the photographers' vision with the best partners and practices to take their book project to the next stage - moving into production! - The 790€ fee does not include transport, accommodation nor on the ground expenses. For participants coming from outside the European Union, please be aware that there is a bank fee when making the payments via bank transfer. - Les projets de chaque participant sont publiés sur le site de Eyes in Progress. > If you apply before April 6th 2017: successful applicants will be informed via email by April 8th 2017. > If you apply after April 6th 2017: successful applicants will be informed via email by May 8th 2017. Applications will be open until May 6th 2017.